Prominent & Leading Manufacturer from Bhilai, we offer single seater red bench set, stunning single seater yellow benches and beautiful single seater blue study benches - set. Leveraging upon our vast industry experience, we manufacture and supply a Fiber reinforced plastic(FRP) School Bench. Moreover, the offered bench is designed and manufactured using supreme quality raw material and most recent technology by our accomplished professionals. 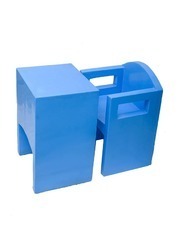 The offered bench is available in diverse colors and designs. These products are is cherished for their high strength, fine finish and longer service life. We offer this bench at a very ostensible price to the clients. Leveraging upon our vast industry experience, we manufacture and supply a Fiber reinforced plastic(FRP) School Bench. Moreover, the offered bench is designed and manufactured using supreme quality raw material and most recent technology by our accomplished professionals. 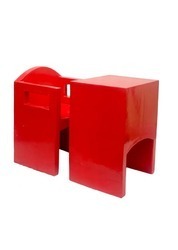 Offered bench is available in diverse colors and designs. These products are is cherished for their high strength, fine finish and longer service life. We offer this bench at a very ostensible price to the clients. Leveraging upon our vast industry experience, we manufacture and supply a Fiber reinforced plastic (FRP) School Bench. Moreover, the offered bench is designed and manufactured using supreme quality raw material and most recent technology by our accomplished professionals. 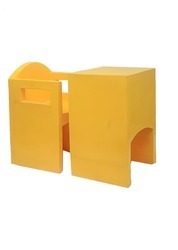 The Offered bench is available in diverse colors and designs. These products are is cherished for their high strength, fine finish and longer service life. We offer this bench at very ostensible price to the clients.. Looking for Bench Set ?